Could Neurotechnology Change How We Define Ourselves? 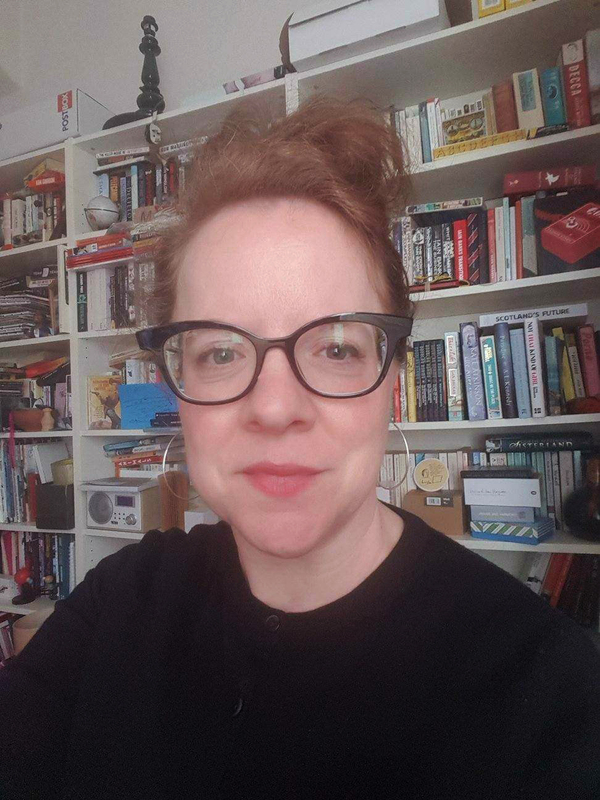 Dr. Emily Postan is an Early Career Fellow in Bioethics at Edinburgh School of Law, a researcher on the Wellcome Trust project ‘Liminal Spaces in Health Research Regulation,’ and a Deputy Director of the J Kenyon Mason Institute for Medicine, Life Science and the Law. With a background in philosophy and policy management, her research is in interdisciplinary bioethics. Dr. Postan is giving the Rising Star Lecture titled 'Managing Neuroinformation, Protecting Identity' on November 1 at the 2018 INS Annual Meeting in San Diego. I am still building on ideas I worked on during my PhD. If, as seems plausible to me, we constitute our identities through the stories—the narratives—we tell about ourselves, then it seems more than likely that information about our bodies, including our brains, could contribute to these narratives. I am interested in the ways that information about our bodies, for example, from brain imaging, health wearables, or implanted diagnostics, could impact—for better or worse—how we make sense of ourselves and navigate our lived experiences, values and relationships. What dangers and opportunities do you foresee in acquiring information using neurotechnology? Privacy, how other people will use this information, is usually the big concern raised here. But I think it’s just as important that we look at our own access to this information, and how we ourselves use it. For example, is it problematic if this information causes us to second-guess our lived experiences? However, it’s also worth revisiting how this information could be useful, not as defining our inevitable destiny, but rather as a tool for interpreting our place in the world and our autobiographies. What got you interested in neurotechnology and ethics? After leaving university I worked in policy management for the Scottish Government. Then I did a Masters at Edinburgh University and during that time, Hank Greely gave a lecture on neuroimaging and the law which was fascinating and helped me to work out what I’d want to focus on if I pursued bioethics further. A few years later in 2013, I managed the Nuffield Council on Bioethics report on ‘Novel Neurotechnologies: Intervening in the brain’, alongside Ilina Singh, which offered the enormous privilege and delight of working with people at the top of their fields, not only ethicists, but social scientists, scientists and clinicians. What will your lecture be about? The big question is: how should we govern the sheer mass of neuro-data generated by cutting edge neuroscience? Within that, I will address the question of how we ought to manage disclosure of this information to the individuals it came from, and what interests we need to protect when doing so. I’ll explore the various roles that neuro-information from wearables or diagnostic neuroimaging or and brain-computer interface devices could play in their self-narratives and why these roles matter from an ethical point of view: why we should care about the identity impacts of these kinds of neuro-information. What appealed to you about giving the Rising Star lecture? It was that I would have the privilege of attending a meeting that was high-profile, yet small enough to connect with the right people, to have the opportunity to address them and learn from them. I am looking forward to the opportunity to address an audience that includes clinicians and researchers, including students in training. What could be more exciting than communicating our own developing ideas to the very people who might be able to engage with these in their future practice and in forming their own ideas? How can the bioethics and neuroethics communities work more collaboratively? When we did the Nuffield Council on Bioethics report, we were constantly walking a line where we didn’t want to fall into treating the brain as if it had unique, exceptional ethical importance. But also we didn’t want to relinquish the strong sense in which the significance of the brain—given its intimate connection with the mind—is ‘not nothing’. I think neuroethics also walks this line and the validity of this balancing act is evidenced by the fact that neuroethics has endured in ways that, for example, genethics has not. I think it can only be fruitful for neuroethics and bioethics communities to work together. Online registration available until October 25.